1. Press arrow keys (←/→) to move forward or go backward. The back button on your browser window will take you to the last page you were on. So if you press back arrow key ← on the keyboard and then click on back button, the book will step forward. Bubblin will keep track of your reading direction and stepping history and sync it with your browser’s history. It’s super easy to retrace the path you came from! 2. You can also press Spacebar to go forward, i.e. step into the next page of the book. Jumping to the last page or the first page is very easy. 3. Press combination ⌘ + ← or ⌘ + → to go to the beginning or the end of the book. 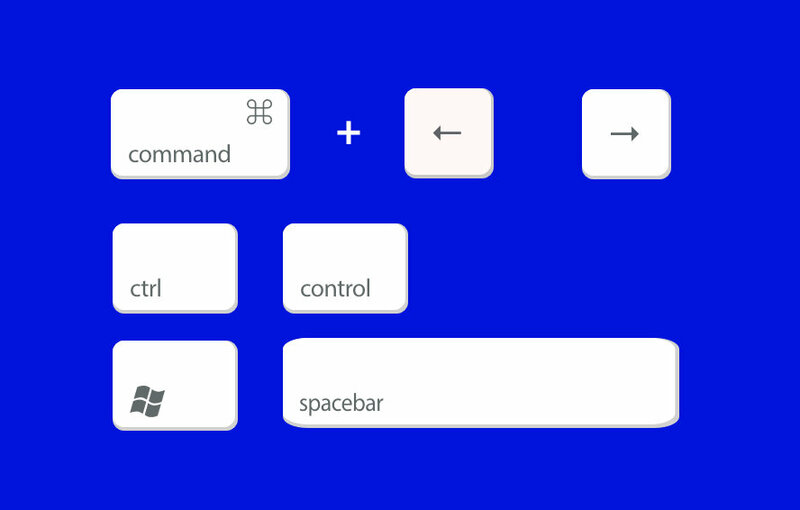 On Windows, use the Control key instead of the ⌘ (Command) key of Mac. That’s it. Reading Superbooks on desktops is that easy! There are many other useful shortcuts especially if you’re into book writing and wish to publish a Superbook yourself. We recommend to go through Bubblin’s official documentation to get the full picture.